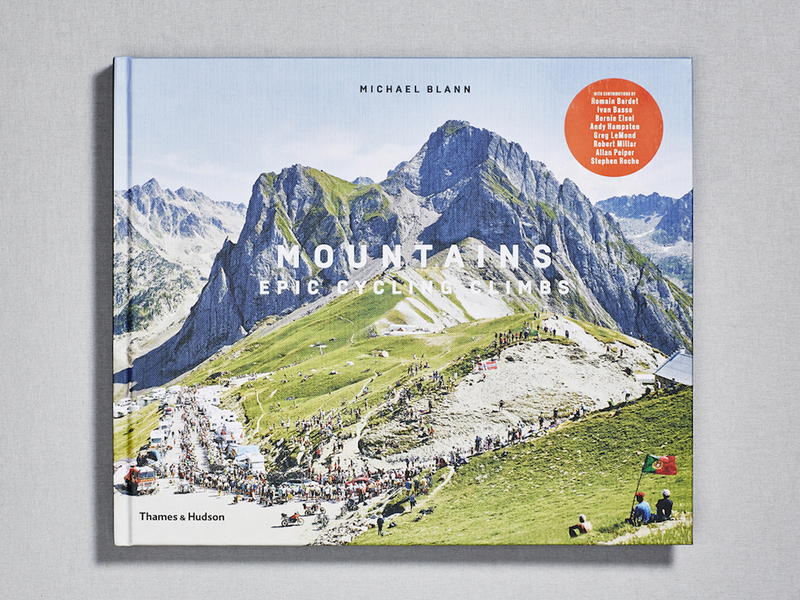 After three years of hard work the Mountains book is finally finished and gets its official release today! It’s been an enriching process in more ways than one, and I’ve fulfilled an ambition that’s been lingering with me since I first got into cycling in the mid 80’s – to climb and experience the famous mountains of the Grand Tours. Back then cycling was a completely new sport to TV in the UK which required late night commitment if you wanted to catch C4’s broadcast of the Tour de France. Le Tour and France seemed a world away and the mountains with their exotic names kept me glued to the screen well past midnight. 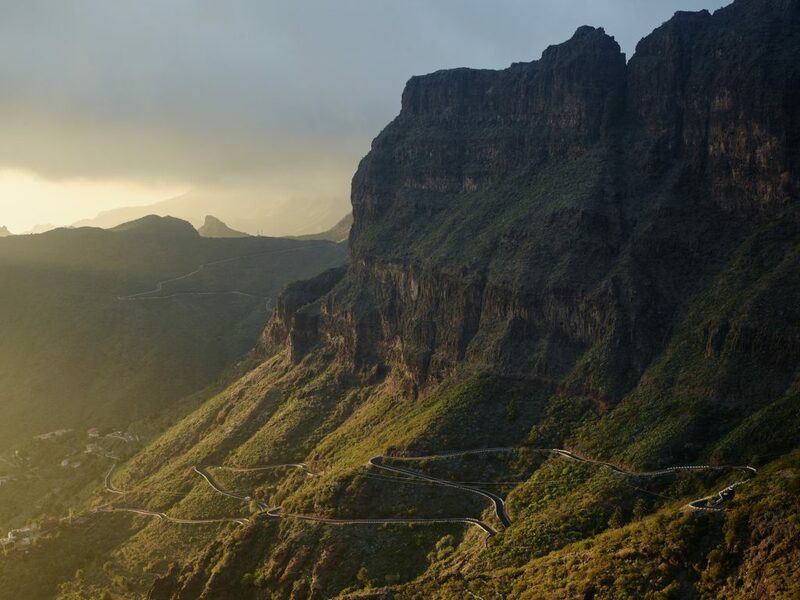 At that time, I had no idea where any of these climbs were geographically, nor if they were in the Alps or Pyrenees but I knew one day I would like to visit them and experience them first hand. It’s taken me 30 years and the catalyst of photography to respond fully to those first impressions. What started out as a personal project has ignited a love affair with mountains that’s been all encompassing at times but has probably helped define me and my style of photography in many ways. As a spectator sport, cycling’s greatest asset is the landscape it passes through, and the mountains represent the antithesis of this. The racing is purely a sub plot. This line of thought drove the direction of the photography. 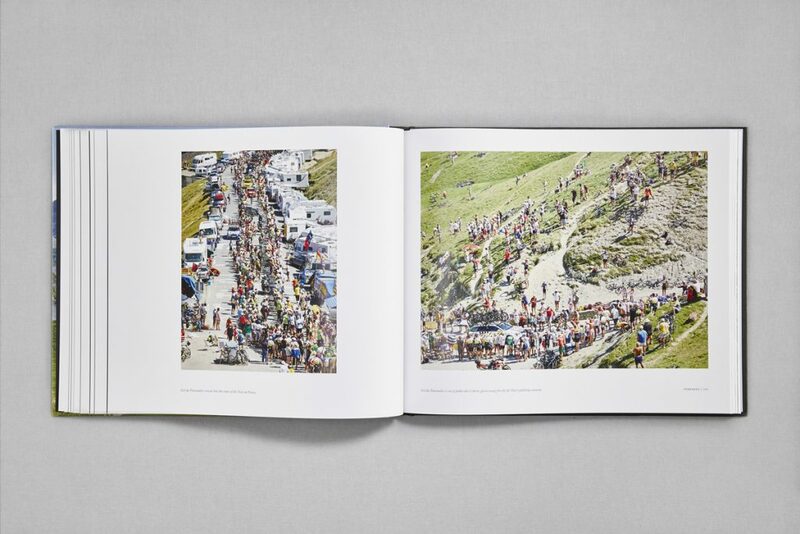 I was far more interested in the wider scene and the context of cycling on these vast landscapes than the action. Unlike most roadside fans who line the route to catch a glimpse of the race, I was the lone photographer standing away from the melee, often on the opposite mountain or from an elevated position (occasionally a helicopter). My intention has always been to create timeless images that are more painterly than photographic and which showcase the beauty of this sport. 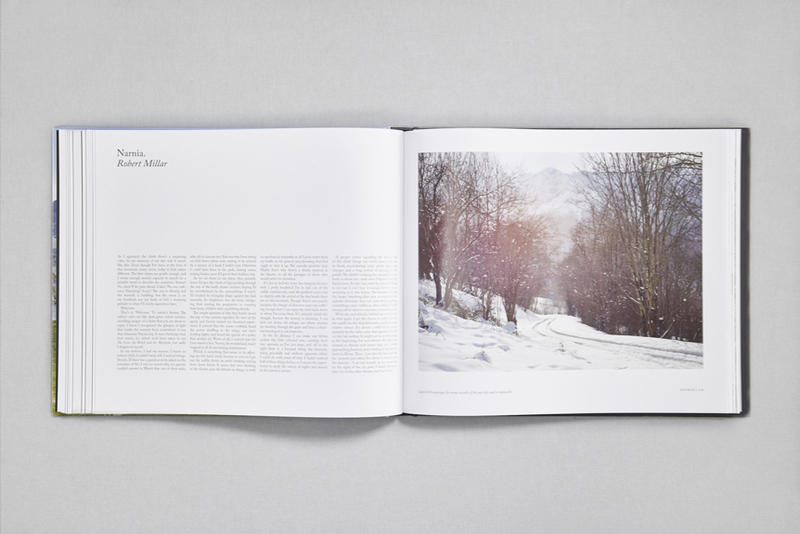 The book became almost a means to an end, putting structure and order to this body of work, a mapping process of sorts. The icing on the cake was the opportunity to interview some of the greatest cyclists of the past 30 years including Stephen Roche, Greg LeMond, Andy Hampsten, Robert Millar to name a few, plus stars of the modern era, Romain Bardet, Ivan Basso, Geraint Thomas and Lizzie Armitstead. 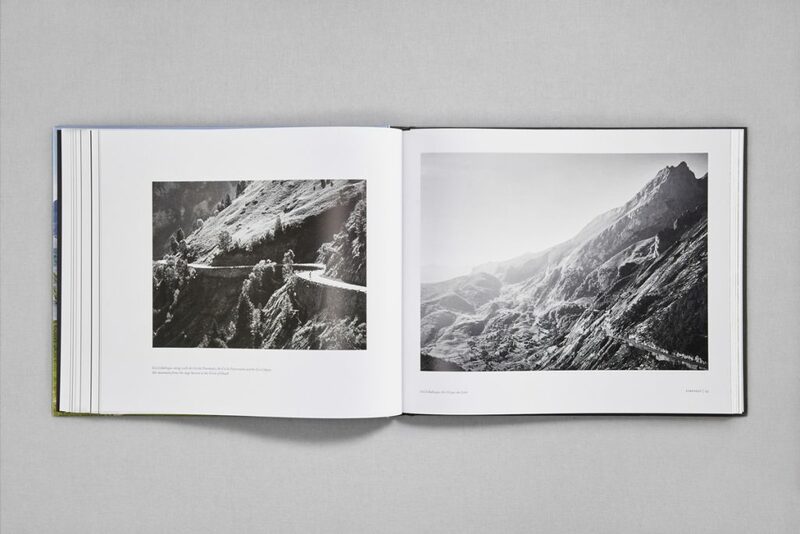 The interviews and resulting essays were a fascinating experience laying bare what it’s like to ride in the mountains by those that have experienced the highs and lows of racing in the Grand Tours. It’s proved both how grounded and accessible cycling is, and how humbling the mountains can be, even to Tour de France winners. It is, however, a project with no end and there are always more mountains to explore and seasons to capture, but publishers’ deadlines are there for a reason and an essential mechanism to draw a line under projects. Getting a book out on the shelves takes the best part of a year to pull together and requires a team effort. Deciding which of the 1000+ images make the final cut can be a painful and ruthless experience. Inevitably certain images you feel precious about, end up on the cutting floor. Choosing a designer who had experience of book design and understood the work and the needs of publishers was actually an easier decision. I had been fortunate enough to work previously with Andrew Diprose, Creative Director of Wired Magazine and his own title, The Ride Journal. He’s a man of detail with an acute sense of good design and I have to thank him for helping produce such a beautiful book. Certainly an area I had underestimated was the time required to pull together all the interviews with the various professionals. Originally I had only intended to include two or three essays (we ended up with 30) but such was the quality of writing from Robert Millar and Michael Barry that it became essential to expand on this component of the book. Not only was it fascinating hearing the stories but it also helped glue whole thing together, adding depth to the photography. I’m in debt to Susannah Osborne for her help here and for her wonderful Introduction. As a journalist, having previously worked in fine art photography and being a cyclist herself, she was tailored to the project and I doubt I could have found anyone else who could put all my thoughts and motivations down so succinctly into words as she did. I know this is now in danger of sounding like an Oscars speech but it’s a good time to thank all those involved, including Thames & Hudson for putting faith in the project and allowing me to put all these thoughts and images into print. Lastly and by no means least, Monique my wife, for bearing with me and holding the fort back home whilst I disappeared off on the numerous trips abroad.